Lisa Pavelka is truly passionate about clay and creativity. Lisa has developed her product line for polymer and metal clay artists and designers. Her products can be used with polymer clay, metal clay, and many other mediums. They are great for making embellishments for crafting, scrapbooking, and much more. Her products help you easily create stunning polymer clay and metal clay masterpieces, jewelry, home décor and much more! Discover your inner artist with these premium quality products that will inspire your creativity. 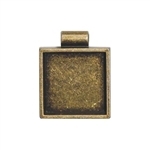 Use Lisa's findings to create beautiful and affordable jewelry quickly and easily. These components are the perfect platform for making and creating with clay, buttons and other mediums. Lisa Pavelka Signature Series Poly Bonder is a high temperature craft adhesive designed to work perfectly with baked polymer clay craft projects. The instant bond fuses in seconds. Use with paper, ceramics, plastic and more! It’s MAGIC! This one step process is easier than 1-2-3. Magnify your design and easily create enhanced faux dichro effects and domed cabochon effect with multiple layer applications. A must-have to gloss, seal, and protect your polymer clay masterpieces. Explore the wonderful world of polymer clay crafting with Lisa Pavelka's books and learn why it has become one of the world's most popular and fastest growing art mediums ever. It's convenient, easy and at your fingertips. Lisa's UV curing light offers quick setting of Magic-Glos™ (an average time of 5–10 minutes) with a powerful, long lasting 6 Watt bulb. Replacement bulbs available online. 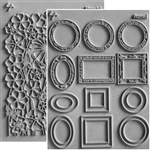 These polymer clay craft texture stamps come in a variety of unique patterns. Each is extra deep to give highly detailed results for both dimensional design and surface imprinting. Lisa’s easy-to-use waterslide transfers are great for all types of clay and craft applications. Each package contains 50 to 60 images from different collections. All you need is scissors and water. 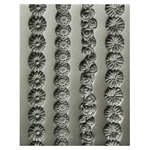 Make incredible polymer clay border designs to embellish your clay and crafting projects quickly and easily. These designs make excellent scrapbook borders and photo frames. The open ended cavities make removing borders a snap. 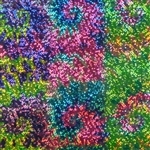 Lisa pioneered the use of Mylar-backed foils for polymer clay with her Faux Dichroic technique, the “Pavelka Peel” and several other applications for creating dazzling artwork with this versatile material. 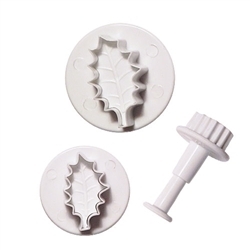 These embossing cutters are ideal for creating beautiful embellishments, accents, or jewelry components from moldable mediums including: polymer, metal, and air dry paper clays. These versatile tools can be used to cut out the desired shape in seconds with beautiful, consistent results time after time. Lisa has now added great coverables to her line! Use these pieces to create beautiful and affordable gifts or personal items quickly and easily. These components are the perfect platform for making and creating with clays. Any artist will tell you that the best and most important tools are your own hands. But what creative person doesn't love tools? A surprising number of clay techniques and projects can be completed with only a few essential tools: a clay blade, a craft knife, and a pasta machine. With hundreds (if not thousands) of tool and accessory options available today, it's hard not to become a tool junkie!